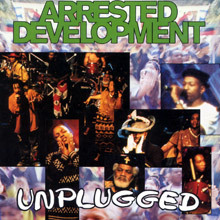 One of the major success stories of 1992, Arrested Development are a progressive rap collective fusing soul, blues, hip-hop, and Sly & the Family Stone-influenced funk with political, socially conscious lyrics. 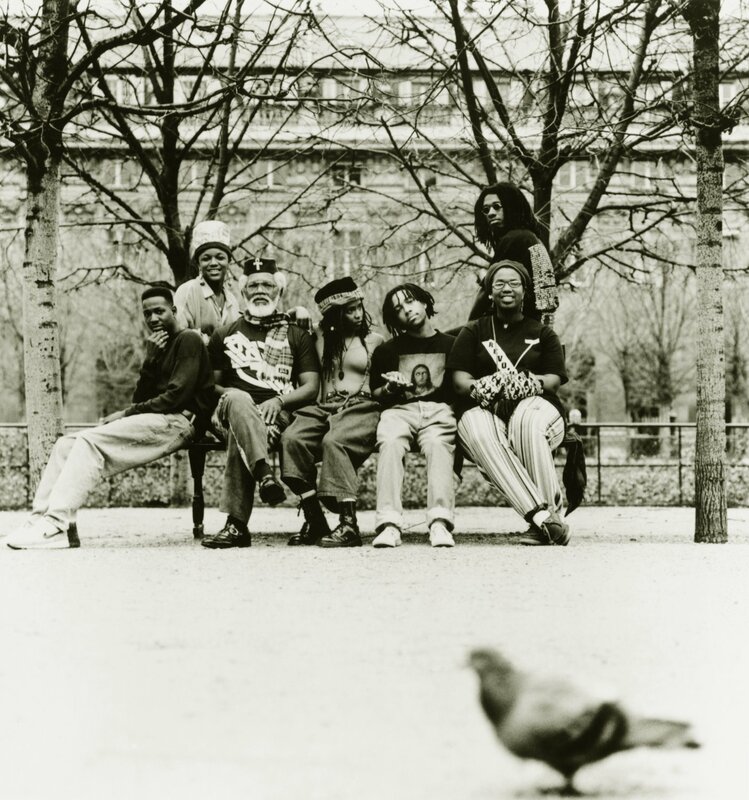 The group was founded in the late '80s by rapper Speech and DJ Headliner, who decided to make the transition to a more positive, Afrocentric viewpoint after hearing Public Enemy. 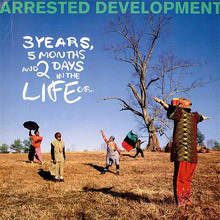 Arrested Development's debut album took its title from the amount of time it took the group to secure a record contract; 3 Years, 5 Months & 2 Days in the Life Of... produced the hit single 'Tennessee', a strongly spiritual track that hit the Top Ten and sparked the album to sell over four million copies. Its two follow-ups, 'People Everyday' (a rewrite of Sly's 'Everyday People') and 'Mr. Wendal' did likewise. Accolades poured in; Arrested Development won Grammys for Best Rap Album and Best New Artist, and was named Rolling Stone's Band of the Year. The group returned one year later with Zingalamaduni, which some reviews hailed as a major work, though overall response was more ambivalent. In 1996, contrary to Speech's earlier assertion that the group would be around for ten or 12 years, Arrested Development officially broke up. Speech went solo, though his debut album failed to make an impact. In 2006, the band reunited and released Since the Last Time in Japan. A year later the album saw release in the U.S. 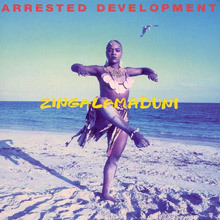 Widely adored when it appeared in 1992, Arrested Development's debut album, 3 Years, 5 Months &amp; 2 Days in the Life Of... seemed to herald a shining new era in alternative rap, when audiences and critics of all colors could agree on the music's importance. Of course, that didn't happen, as Dr. Dre instead took gangsta rap to the top of the charts with The Chronic. In retrospect, 3 Years... isn't quite as revolutionary as it first seemed, though it's still a fine record that often crosses the line into excellence. Its positive messages were the chief selling point for many rock critics, and it's filled with pleas for black unity and brotherly compassion, as well as a devotion to the struggle for equality. All of that is grounded in a simple, upbeat spirituality that also results in tributes to the homeless (the hit "Mr. Wendal"), black women of all shapes and sizes, and the natural world. It's determinedly down to earth, and that aesthetic informs the group's music as well. Their sound is a laid-back, southern-fried groove informed by rural blues, African percussion, funk, and melodic R&amp;B. All of it comes together on the classic single "Tennessee," which takes lead rapper Speech on a spiritual quest to reclaim his heritage in a south still haunted by its history. 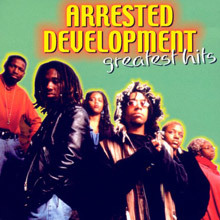 It helped Arrested Development become the first rap group to win a Grammy for Best New Artist, and to top numerous year-end critical polls. In hindsight, there's a distinct political correctness -- even naïveté -- in the lyrics, which places the record firmly in the early '90s; it's also a bit self-consciously profound at times, lacking the playfulness of peers like the Native Tongues. Nonetheless, 3 Years... was a major influence on a new breed of alternative southern hip-hop, including Goodie Mob, OutKast, and Nappy Roots, and it still stands as one of the better albums of its kind. There are subtle progressions on the group's signature sound. There's more frequent and explicit use of African musical elements, especially chanting; that reflects a slightly more Afrocentric viewpoint in the lyrics (not to mention the album's title, which is Swahili for "beehive of culture"), which tones down the sunny positivity of the debut somewhat. A few cuts are jazzier than anything on the debut, yet the overall lack of focus produces too many lackluster-to-average moments. The best tracks are a match for their counterparts on 3 Years... (save for "Tennessee"); songs like "Mr. Landlord," "Ache'n for Acres," "Praisin' U," and the catchy "In the Sunshine" illustrate why some critics found reasons to like Zingalamaduni that weren't purely intellectual. Released only in England/Europe, Greatest Hits rounds up pretty much anything that most Arrested Development fans could want from the band -- which means that it leans pretty heavily on the first album, containing such hits as "Mr. Wendal" and "Tennessee," plus album cuts like "Fishin' 4 Religion" and the non-LP single "Revolution." There are also two unplugged cuts, which are OK, but the main problem with the collection is that the original version -- or even the original single version -- of "People Everyday" is not here, only the "Metamorphosis Radio Edit." This isn't enough to sink the collection, but it may be enough for some listeners to wait for a definitive anthology that contains all the original versions of the big hits. For a brief, shining moment at the dawn of the '90s, it seemed that Arrested Development's debut 3 Years, 5 Months &amp; 2 Days in the Life Of would have as lasting an impact as Nirvana's Nevermind, which also ruled the charts in 1992. As it turns out, Nevermind ushered in years of grunge, indie rock, and, sadly, terrible hard rock, but 3 Years wound up as the last big gasp of alt-rap before it was subsumed by gangsta after The Chronic. 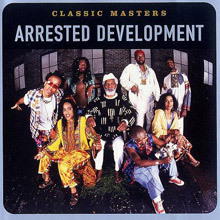 As such, Arrested Development's music has dated slightly, sounding like its time rather than transcending it, as this edition of Classic Masters illustrates. As a collection, it's quite good, containing not just every one of the group's hits and singles, but a B-side ("Southern Fried Funk"), a few album tracks, and Speech's 1995 solo single, "Like Marvin Said (What's Goin' On)." Several singles stand the test of time and emerge as classics, particularly "Tennessee," while several sound a little too closely tied to their time, but overall this is an excellent overview of the last great Daisy-Age era alt-rap crew. 3 Years remains definitive, but if you want a sampler, containing bits of Zingalamundi plus Revolution, this is the one to get. Basically a live rerecording of 3 Years, 5 Months, &amp; 2 Days In the Life of ... (minus their breakthrough hit, "Tennessee"), Unplugged breaks no new ground for Arrested Development. Eight of the eleven songs on the album are from their debut, and the three new tracks are slight. The album is filled out with remixes of seven tracks, which are the instrumental tracks with the vocals turned down (they are still slightly audible). Despite the fact that it doesn't offer anything not on 3 Years, the album is an enjoyable listen.